I felt some stress as an artist during my stay in Kamiyama. 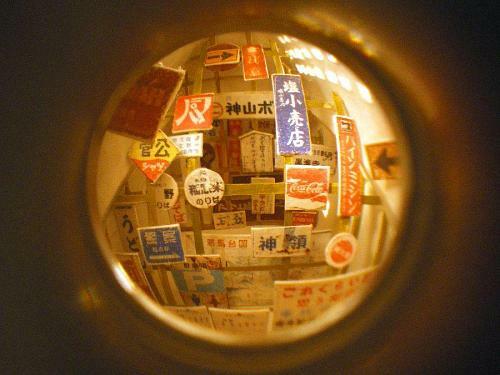 Fearing that the work could easily fall into little more than an exoticism felt by a tourist or a picture diary if I was not alert, it may not be too much of an exaggeration that I was working on the piece as if I were in a battle. It was really moving to see how the now closed shoe factory (a former nursery) was turned into the space for exhibition with the help of the local people. The experience of creating the installation at that site will give me a lot of inspiration in making works of art in the future. The work I created during the residency is a number of small rustic house objects, each of which contains a landscape. 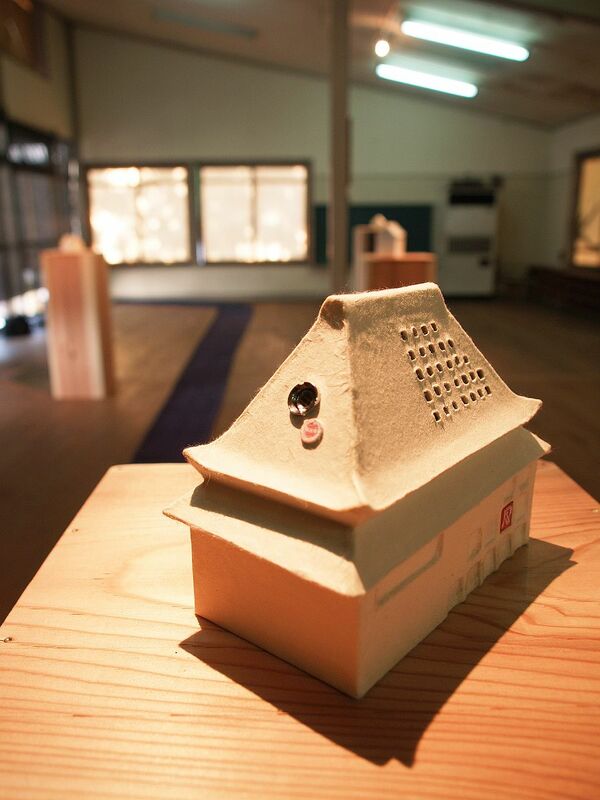 It represents an accumulation of the various social contacts I made during the residency. It also represents a world in which the real town overlaps with the imaginary town reconstructed within the scope of my observation as a visitor. When viewers look through the peephole installed in the house, they follow the world along the direction of somebody else's eye. 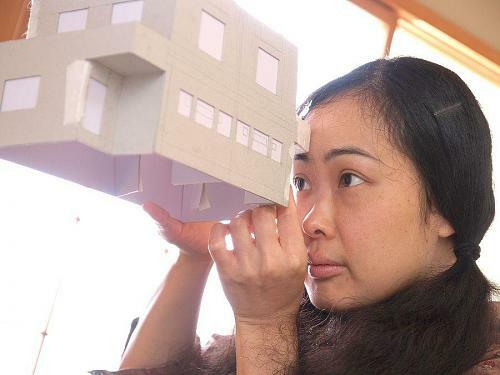 Kido recreated the houses existent in Kamiyama s paper-made miniature house objects. Inside each object is the landscape of Kamiyama created like a stage setting. Looking through the doorscope installed in the miniature house, one can see through the lens a world in which the innerscape and the outerscape are reversed. Each of the seven houses has a different landscape inside, but viewed all together, they present themselves as one entity, showing what Kamiyama is like. Every scene, characterised by such things as the motorway, a barn on a farm, and a nostalgic sign, has a touch of warmth and sweetness. The exhibition site was fitted with cloths arranged to simulate the local Akui River, on either side of which were miniature houses. Viewers can experience their own Kamiyama by peering into the miniature houses.